Please see below for links between Scottish policy and the Peep Learning Together Programme. This policy covers Education; Early Learning and Childcare; Children's Wellbeing; Parental Engagement and Community Learning and Development. You can also find here Scottish policy and the home learning environment.pdf a general overview of the home learning environment in Scottish policy. The Pupil Equity Fund supports the cross-cutting intentions of the policy we cite here and you may wish to use this fund to deliver the Peep Learning Together Programme in your setting. Please contact info@peeple.org.uk or call the Scottish office on 0131 446 3715 if you would like to discuss this further. The STEM (Science, Technology, Engineering and Mathematics) Strategy emphasises the ‘crucial early years’ where STEM skills can be promoted and enthusiasm for STEM can be fostered. The Scottish Government recognises the need to close the equity gap in participation and attainment in STEM. In order to allow children to develop STEM skills and interest, Scottish Government will work to ensure that early learning and childcare professionals have the ‘skills, knowledge and confidence to support children in relation to STEM’. Practitioners will give children and families a grounding in STEM, providing an ‘inspiring offer of STEM activity’. They acknowledge the need to improve ‘confidence and fluency’ in Maths for children and their families. Scottish Government recognise the need to support and resource practitioners in early years and school for this task. The Scottish Government highlight the importance of building the skills, knowledge and confidence of families to promote and encourage STEM learning at home. This is part of what they describe as ‘STEM Capital’. The STEM Strategy supports the suggested focus of Regional Improvement Collaboratives to promote effective strategies and approaches for parental engagement and family learning in STEM in early learning and childcare settings and schools. The Peep Learning Together Programme supports practitioners to gain the skills, knowledge and confidence to support families to improve STEM learning at home. The Programme is used in a variety of settings including ELC settings, schools for transition into primary school, community centres, health centres and others. It is often delivered in partnership between these disciplines. The STEM Strategy promotes partnership working to promote these aims to children and their families. Community Learning and Development (CLD) is recognised as having a key role in supporting equity by engaging with disadvantaged families. Since 2018, there has been a requirement for public STEM sector to work with CLD to engage disadvantaged people where they are funded by Scottish Government. The Peep Learning Together Programme can be used to build on the skills and resources of CLD and the STEM ‘public engagement sector’ (museums etc.) to promote STEM in partnership. Educational Governance makes a strong and informed case for working with parents and the focus of that work being improving the home learning environment. recognises the need to provide effective teacher training so that teachers are best able to work with children to help them overcome any barriers to learning (p.23). ‘Research shows that when parents and carers support their children’s learning, and when children live in a stimulating home learning environment, it improves children’s attainment and achievement. Family learning encourages family members to learn together, fostering positive attitudes to lifelong learning’. The Action Plan provides delivery partners in local authorities, and the private and third sector, with a clear policy and delivery framework in which to build capacity for the expansion of ELC. This vision is underpinned by the principles of Quality, Flexibility, Accessibility and Affordability. ensure provision is accessible. Peep practitioners gain skills and resources to build relationships with parents which enable those parents who are reluctant to engage with an educational setting to gain confidence to do so. This film about Peep in Fife shows practitioners sharing some of the skills they have learnt through Peep Learning Together Programme training and delivery and parents speaking about some of the benefits. ‘Supporting, equipping and building capacity amongst Scotland’s parents to capitalise on children’s opportunities for learning is key in raising attainment and closing the poverty-related attainment gap’. The Review assessed research and practice to identify what works well in Family Learning. The Peep Learning Together Programme and the Peep Progression Pathway are highlighted under ‘What Excellent Family Learning Looks Like’. Promote excellence through raising attainment by working with parents and children to improve the home learning environment. 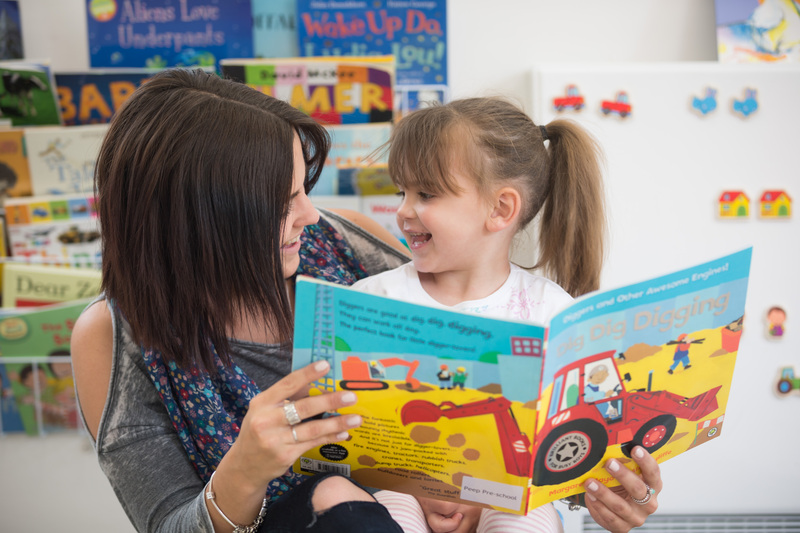 Five independent studies by Oxford and Warwick University show that Peep helps children develop strong foundation for literacy and self-esteem. Achieve equity by increasing the confidence, knowledge and ability of parents to support their child’s early learning and development and engage with nursery and school. Development of Family Learning Programmes in all Challenge areas by end 2017 and all areas by 2018. The Learning Together Programme is an evidenced and established early intervention/prevention family learning programmes which can be used with children aged five and under and their parents/carers. Delivery of family support and parent employability at or via the Early Learning and Child Care setting by working with local partners to deliver the Peep Learning Together Programme with integrated SCQF credit-rated units, the Peep Progression Pathway. There are established further education pathways with a number of FE Colleges across Scotland. Equity of access to national campaigns and gifting programmes by working with parents to increase their confidence and ability to share these resources with their children. The Scottish Attainment Challenge aims to achieve equity in educational outcomes and raise the attainment of children and young people living in deprived areas in order to close the poverty-related attainment gap. The challenge focuses on and accelerates targeted improvement activity in literacy, numeracy and health and wellbeing in specific areas of Scotland. promoting key home learning activities which improve attainment throughout the programme. These include sharing books, singing and play. NHS Scotland have produced Setting the Table which provides nutritional guidance and food standards for early years childcare providers in Scotland. • highlight the importance of food as a tool for social development and learning. The guidance devotes a whole section to “Playing and learning with food”. The Peep Learning Together Programme is full of topics which really support the guidance in this important document. For example, from the Health and Physical Development Strand, the topic “Making the most of food and mealtimes” aims to help parents/carers and practitioners to explore the role of food and mealtimes in family or setting life, to recognise their value in promoting communication and social skills and to understand how involving children in buying, preparing, cooking and sharing food can support their early learning and development. Developing the Young Workforce is a seven year (2014-2021) programme which aims to better prepare children (aged 3-18) for the world of work. The headline aim of the programme is to reduce youth unemployment by 40% by 2021. Learn more here. Please see this case study from Moray about how the Peep Learning Together Programme is used to prepare high school pupils for the world of work. Progression routes from the Peep Progression Pathway to further education providers also supports this aim. ‘Children make the most intellectual gains where there is high levels of parental involvement in children’s learning’. ‘Early Childhood Education and Care has a profound and long-lasting impact which measures taken at a later stage cannot achieve’. Increase parenting/family capacity and skills in a non-stigmatising environment by giving practitioners a knowledge and practice framework to recognise parents existing strengths and build on these. Build the confidence and capability of the early year’s workforce and their reflective practice. 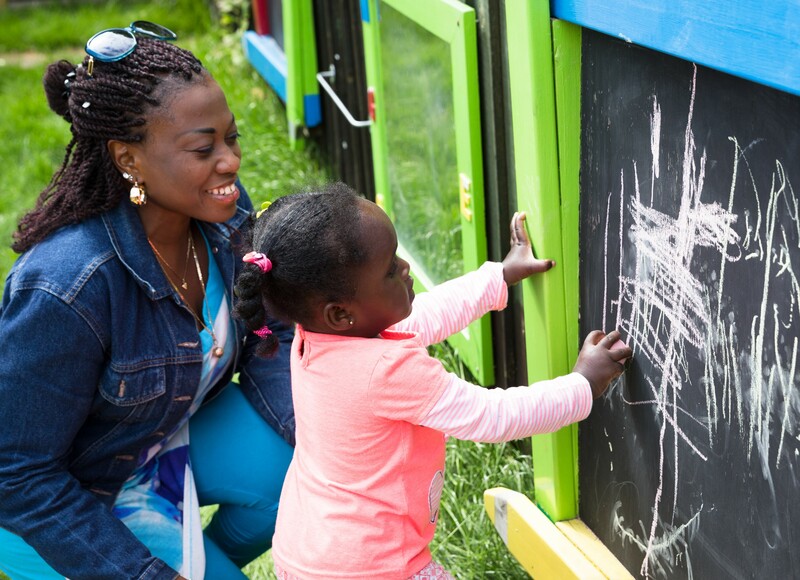 Peep practitioners gain skills and resources to work with parents as the child’s educator. The course includes a City and Guilds Unit (SCQF level 7) in Working With Parents which teaches a high degree of reflective practice. Make links between practice, theory and policy guidance to reinforce aspects of high quality provision and the critical role played by early year’s practitioners: The Peep Learning Together Programme offers an ongoing way of doing this through practice. The Programme integrates practice and theory and the training links the Programme to policy. All three elements are regularly reviewed and updated. Supporting parents into work: The Peep Learning Together Programme and Peep Progression Pathway build parents'/carers' confidence in existing skills, capabilities and potential. This develops the motivation to learn more and to feel able to progress into further learning or work. The Peep Progression Pathway then provides a structured route from this informal provision to vocational FE courses. Lifewide ‘covering personal, work, family and community aspects of living’. The Peep Progression Pathway is rooted in these elements. Through delivery of the Peep Progression Pathway learners improve their skills, knowledge, confidence, social networks, communication skills and critical thinking in a flexible, community-based provision offering Further Education progression routes (p.7). This short film highlights some of the adult learning benefits of the Peep Progression Pathway. This is part of an evaluation by Learning and Work, as part of a 'Parents and Employability' project. The overarching aim of the Children and Young People’s Act 2014 (known as ‘The Act’) is to ‘Make Scotland the best place in the world to grow up in by improving outcomes and reducing inequalities for all babies, children, mothers, fathers and families across Scotland to ensure that all children have the best start in life and are ready to succeed’. The Act sets the strategic direction for the way in which Scottish public services should be delivered and assists public bodies in their endeavours to improve the life chances of children and young people. Improve the way services work to support children, young people and families by providing a framework for practitioners to work relationally with families, building an understanding of both the home learning environment and the educational setting. By building on parent’s strengths and with an informal approach, a wide range of families can be reached. Peep is often delivered in collaboration between two or more agencies, allowing families access to a wider range of expertise. Strengthen the role of early years support in children’s and families’ lives by upskilling Early Years Practitioners to work with parents together with their children to provide early learning and development support in an informal, fun and accessible way. Promote the Rights of the Child as set out in the United Nations Convention of the Rights of the Child by directly promoting many of the articles such as the right to play (article 31) and the right to learn (article 13). By working with parents to develop the child’s communication and language, the child is further enabled to enact their rights and to speak out in their own voice about issues which matter to them. Getting it Right for Every Child (GIRFEC) is a Scottish Government approach that encourages services working with families to work together to spot and deal with issues early and before these escalate into a crisis in order that children can reach their full potential. The GIRFEC approach has the child at the centre and works will children and their families on ways to improve wellbeing. being deliverable by and amongst a range of services. This Peep Dundee case study provides an example of multi-agency working to deliver Peep. and are embedded in the Peep approach. ‘Play creates a brain that has increased flexibility and improved potential for learning later in life’ (Lester and Russell, 2008). The Play Strategy recognises that play is crucial to Scotland’s wellbeing: emotionally, socially and environmentally. It reinforces the message of Article 31 of the United Nations Convention on the Rights of the Child that ‘play is a right’. The Strategy also states that ‘parents and carers are a child’s first educators and have a crucial role to play in encouraging their development.’ and recognises the need for ‘a rich home learning environment’. It states that essential to achieving this is a professional, qualified and well-led workforce with the skills and confidence to provide support and advice to parents and carers about play. The Peep Learning Together Programme supports parents/carers and children to learn together through play to enrich the home learning environment. Peep practitioner training, resources and support increase the skills and toolkit of Early Learning and Childcare professionals to support and advise parents and carers about the importance of play for children's learning and development.This film about Peep in Fife shows practitioners and parents highlighting some of these benefits. The Regulations stress that organisations funded specifically for Community Learning and Development (CLD) work should be closely aligned with ‘education (including schools and nurseries), culture, sport, leisure and library services’ (p.7) in order to deliver CLD outcomes. It commends collaborative working across a range of partners for effective CLD practice. The Peep Learning Together Programme is deliverable through multi-agency working to provide these CLD outcomes. This Peep Dundee case study provides an example of this. The development of the Peep Progression Pathway was funded by Education Scotland’s Innovation Fund, demonstrating an innovative and coherent application of CLD policy. ‘The nurturant qualities of the environments where children grow up, live and learn parents, caregivers, family and community – will have the most significant impact on their development’. The Scottish Government launched the National Parenting Strategy with the purpose of acting ‘as a vehicle for valuing, equipping and supporting parents to be the best that they can be so that they in turn can give the children and young people of Scotland the best start in life’. improve the health and wellbeing of the family by giving them support, confidence and knowledge to support their child’s learning and development and further that of the parent. The Peep Learning Together Programme and integrated Peep Progression Pathway offer such an early childhood intervention, early parenting strategies and integrated adult literacies. Parents report that their own literacy and other employability skills increase as a result of completion of Peep Progression Pathway units. This guidance clarifies the expectations of Community Planning Partnerships. It highlights ‘family learning and other early intervention work with children young people and families’ and prioritises preventative work (p.5). It recognises that CLD practice is strengthened by working with a range of partners (p.3). The Peep Learning Together programme provides an early intervention/prevention approach, deliverable with a range of partners which improves life chances for children and their parents. The Child Poverty Act (2010) sets out the UK-wide targets to eradicate child poverty by April 2020. Investment in eradicating child poverty and reducing inequality remains vitally important to the Scottish Government. Shifting resources into early intervention and prevention in the early years of a child’s life is a key starting point. The Peep Learning Together Programme provides a cost-effective, strength-based and accessible early intervention/prevention approach and resources which builds on practitioners existing skills to address and tackle the poverty-related attainment gap. At the heart of the Framework is an approach ‘which recognises the right of all young children to high quality relationships, environments and services which offer a holistic approach to meeting their needs’. The Framework contains an action plan which seeks to provide a greater focus within existing services on ‘the development of parenting skills, developing broader roles in the workforce and enhancing the role of childcare, pre-school and school in family learning’. Address the needs of the children whose lives, opportunities and ambitions are hindered because of poor health, poverty, attainment and unemployment by tackling educational outcomes, family relationships, quality of ELC provision and unemployment as interrelated drivers of poverty. Reduce the number of families requiring long-term support by supporting the capacity of children and parents to secure positive outcomes themselves within universal services and by building community capacity to support families. It does this by increasing parental capacity to improve the home learning environment which improves children’s attainment. The Peep Progression Pathway parent qualifications and Further Education progression routes increase the confidence, employability and aspirations of parents. There are many examples of parents progressing to delivering Peep groups, such as those in the 'volunteer development' section of this Peep in Children's Social Work case study. https://www.peeple.org.uk/node/156The Parental Involvement Act recognises that parents ‘are by far the most important influences on children’s lives’ and their ‘first and ongoing educators’. It aims to encourage parents to develop their children’s learning at home and in the community. Address factors that may act as barriers, discourage or inhibit parents’ involvement in their children’s education by providing a family learning programme which builds on existing strengths so parents feel valued rather than judged. Parents build the relationships and confidence for to engage with the nursery/school setting. Parents grow in confidence, knowledge and ability to be further involved in their child’s learning. Work closely with colleagues from other services, such as home school link services, community learning, health, and social work, or other organisations by being deliverable amongst a range of partners, with strong local authority examples of this. 'I didn't realise all my daughter was capable of and that opportunities for learning are everywhere'. 'I learnt a lot about everyday things I am doing that are bringing him on, things I would not have realised without Peep'. 'Peep has helped me become more confident as a parent and as a person'. I have really enjoyed the course, I think it is great that it relates to your own kid. You get fantastic Ideas how to play and help their development. The Peep practitioners are great and very approachable. I would definitely do it again'.